Fatima lives in the city of Noor, a thriving stop along the Silk Road. There the music of myriad languages fills the air, and people of all faiths weave their lives together. However, the city bears scars of its recent past, when the chaotic tribe of Shayateen djinn slaughtered its entire population -- except for Fatima and two other humans. Now ruled by a new maharajah, Noor is protected from the Shayateen by the Ifrit, djinn of order and reason, and by their commander, Zulfikar. But when one of the most potent of the Ifrit dies, Fatima is changed in ways she cannot fathom, ways that scare even those who love her. Oud in hand, Fatima is drawn into the intrigues of the maharajah and his sister, the affairs of Zulfikar and the djinn, and the dangers of a magical battlefield. 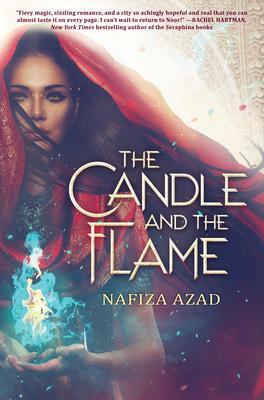 Nafiza Azad weaves an immersive tale of magic and the importance of names; fiercely independent women; and, perhaps most importantly, the work for harmony within a city of a thousand cultures and cadences.